We host our church's college and career group at our home on Wednesday nights. When we first started the group, we all agreed that we wanted to dig deeper into our faith for our own benefit and so that we would better be able to discuss it in an intelligent manner with people who have questions. 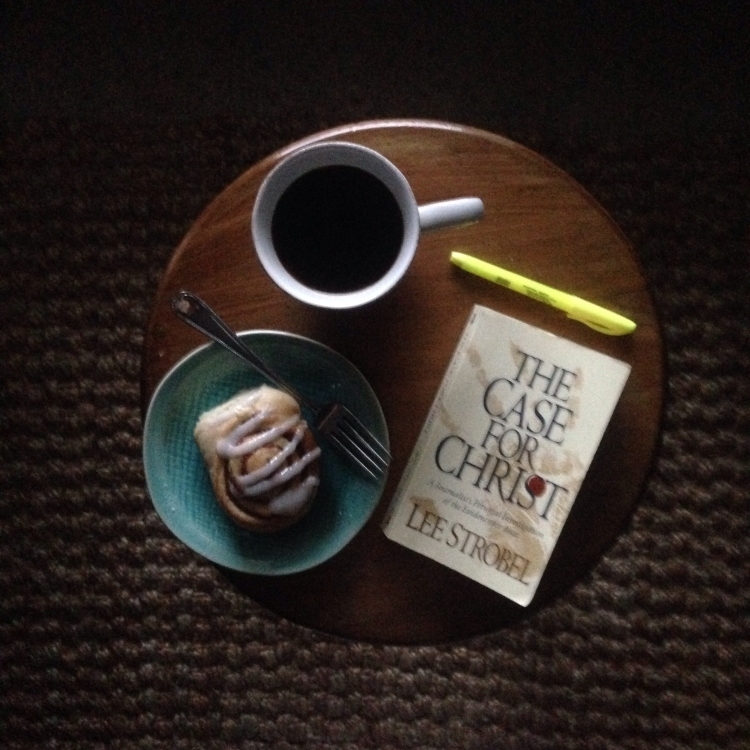 We've recently started reading The Case for Christ as a group and discussing it together. The author, Lee Strobel, a former journalist and skeptic of Christianity interviews scholars and former skeptics who have devoted their time into studying Christ and the New Testament in an effort to prove or disprove Christianity, Stroble investigates historical and archeological evidence and invites us to study the historical context that the Gospels were written. I can honestly say that my mind has been blown by the evidence and arguments he presents. I really like the book because it seems as though Strobel reads my mind as I come up with new questions about the information that I have never before considered or even knew about. When I see what I think might be a weakness in his argument in one paragraph, he answers it in the next. One of the guys in our group said that he has learned more in the first two chapters of this book than he has in the last three years he's been researching this information on his own. Written in a conversational style, The Case for Christ is a compelling read and study that I would highly recommend to a believer who wants to strengthen their foundation in their faith or a skeptic of Christianity who is looking for answers or just wants to study the other side of the argument.